This is a list of all apartments and the information displayed is subject to change before an apartment is made available. Please visit our vacancies page to view a list of all available apartments. We have a newly renovated one bedroom apartment close to shopping and bus routes available soon. We have a rare opportunity. This apartment is a fully renovated third floor 1000 square foot 2 bedroom. This beautiful apartment is filled with original historic touches and is large enough to be called a home. The Heat and Hot Water are paid by the ownersaving you hundreds of dollars per month in utility cost. This small second floor apartment enters into a dining area. There is a small kitchen and sleeping nook around the corner in each direction. There is a large tile bathroom with modern fixtures and shower, and a very nice living room with original mantle and French doors leading to a balcony with a city view. The kitchen has been newly renovated with designer cabinets and fixtures, with tile on the counter and wall. We have a very nice very large first floor luxury apartment available in a great neighborhood. That’s right…Very Nice as in fully renovated …very large as in 800 square feet on the first floor, and Luxury as in fully equipped and private porch. Sounds too good to be true doesn’t it? This studio is on the third floor of the Historic Virginia Flats in Wallace Woods. There is a large main room with an original mantle piece and hard wood floors. A kitchen and pantry area. And a luxurious modern tile bathroom with step in shower. We have a rare opportunity. This apartment is a fully renovated second floor 1000 square foot 2 bedroom. The apartment enters into a huge living room with mantle. The living room opens into the equally huge extra room through a large archway. These two rooms add up to nearly 600 square feet. There is a small private bedroom with a closet. The floors in these rooms are hardwood. The kitchen is older with modern fixtures and cabinets. The bathroom is full tile. There is a large clothing closet in the hall leading to the bath. We have a very nice fully renovated apartment in Wallace Woods available in January. We have a nice renovated apartment available in Wallace Woods for a very attractive lease price. This is a second floor unit with three rooms. This first floor 700 square foot apartment enters from the stair hallway into the living room. The kitchen is at the rear of the unit with a door out to the huge back yard. The Bedroom is in the front and has an original mantle and a picture window looking out over the front porch. The bathroom is off the living room and is full tile with modern fixtures. This apartment is a lower level studio with one large room, a kitchen and a bath. The apartment has been fully renovated and has many nice features. The living room has a tile floor, cove ceiling with recessed lighting, sconce lighting, and is open to the kitchen. The kitchen is very nice, with maple cabinets, custom trim, tile countertops, dishwasher, and pantry. The bathroom is small and modern, with full tile surfaces. We have a very nice third floor studio apartment available now. This third floor three room apartment features a lovely tile bathroom with bubble tub, and free heat and hot water. The apartment enters through the kitchen which is original but very functional and has room for a dinette. The main living room has dormered ceilings and a nook for a bed. The living room has views of the yard and pool and hardwood floors. This third floor three room apartment features a lovely tile bathroom with gable shower and built in dresser and closet. The main room has a tile kitchen along the back wall with built in storage, hardwood floors, a mantle, and French doors with a view of the city. The bedroom has a small closet. This apartment is very economical and has free heat and hot water. This apartment is a first floor one bedroom with paid heat and off street parking. This apartment enters into the kitchen which is original with room for a small table. The Bathroom is full tile with the original tub and a nice storage pantry. The Living room and bedroom have hardwood floors and original historic woodwork. There are two closets. We have a very nice third floor studio in a Mansion available. This renovated studio enters into the large living area which has both living room and bedroom areas. The windows look out across Wallace Woods to the west. There is a large walk in closet near the bedroom area. The bathroom is renovated with a small tile tub/shower and modern fixtures. The kitchen is renovated with custom tile countertops, modern cabinets, dishwasher, and a view of the pool. This apartment is the rarest one we have. This was the owners private home for 40 years and has only been offered for lease once since it was vacated. This apartment offers nearly 2000 square feet on the second floor with a private porch, luxury finishes, and huge rooms. We have a very nice small apartment with paid heat available soon in the historic Stewart Mansion in Wallace Woods. We have a nice second floor one bedroom in a turn of the century Mansion. This nice apartment has one large room for bedroom and living room, a large kitchen with room for a dining table, and a bathroom. The bedroom has a lovely bay window overlooking the large backyard and pool. The floors are hardwood, the bathroom is tile. The rest of the building is a very impressive Mansion currently undergoing renovation, and it is sure to impress your friends when they pull up. We have a very affordable one bedroom studio apartment in a mansion available. This third floor unit is partially renovated and has paid heat, off street parking, pool access, and is in a great neighborhood. This apartment has two large rooms and a bath, all on the third floor of the Historic Stewart Mansion in Wallace Woods. This apartment has been partially updated and is being offered at a very affordable price. We have a very rare apartment available now. This is a studio apartment on the third floor of the Stewart Mansion and comes with Free Heat and Free Hot Water. We have a very nice attached shotgun apartment available now in Westside. This one bedroom apartment has a private entrance at the front and also an entrance into the kitchen at the rear from the fenced yard. There are three rooms and a bath, and either front or middle room can be used as a bedroom. The floors are refinished hardwood and the kitchen and bath are renovated with tile. The bath has a tub shower. There is a small basement. We have a very nice very large fully renovated apartment on the first floor, near Mainstrasse in Covington. We have a very nice fully renovated second floor three bedroom available in June. This fabulous apartment is a short walk from downtown and Mainstrasse in Covington's Historic downtown. We have a very rare opportunity coming in June. A 4 bedroom 2 bath apartment in Historic Wallace Woods. We have very large two bedroom first floor apartment in Historic Wallace Woods available soon. We have a nicely renovated second floor one bedroom available soon. We have a newly refinished town home available for lease. We have a very economical 1100 sf, 2 bedroom 1 bath duplex cottage available now. We have a nicely renovated first floor one bedroom apartment available on Section 8. This apartment is the entire first floor of a two unit apartment building. It has three large rooms and a bath. There are front and rear entrances, which allows you to use the front room as a private bedroom without walking through. The unit has a new central AC/furnace. This apartment has hard wood floors throughout and modern tile kitchen and bath. The kitchen opens onto a fenced back courtyard. We have a newly refinished second and third floor apartment available soon for lease. We have a large reasonably priced two bedroom apartment available in a great neighborhood. We have a lovely first floor one bedroom, newly renovated with porch, private entrance, and paid heat available in July. We have an partially renovated apartment with paid utilities available in May. This first floor apartment enters from the front porch and is partially renovated. It is original to our acquisition of this property and as such it is available for a very reasonable lease with utilities included. The apartment has Living Room, Bedroom, Kitchen, and Bath, all on the first floor with five steps from the sidewalk. We have a very large and very economical apartment available in Wallace Woods in August. We have a nice little town house on Eastern Avenue in Covington. This unit is half of a duplex, but the other half is unfinished. 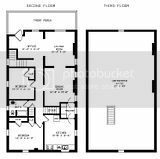 There is a kitchen, living room and a bath on the first floor, and one private bedroom, a bonus room, and a half bath on the second floor. All the floors are hardwood. There is a nice yard and plenty of parking. The kitchen has been renovated, the bathroom has the original claw foot tub. This unit has central heat. We have a very rare apartment available. This large first floor unit is one of our un-renovated apartments. The apartment is original to the purchase of the building and has had the same tenant in it for as long as we have owned it. The original renovation was done in the late 70's or early 80's and was well done. We have a very nice third floor one bedroom apartment available soon. This apartment is located in the attic of the building and has dormer ceilings and windows. 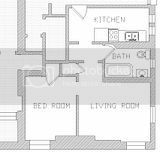 You enter into the hallway which connects the living room at the front of the apartment with the bedroom in the middle and the kitchen and bath at the rear. There are hardwood floors throughout the living areas, and tile in the bathroom. We have an enormous 2 bedroom one bath apartment on the first floor available in September. We have a very nice second floor two bedroom apartment available in Wallace Woods. We have a large two bedroom fully renovated apartment available now. We have a very nice second floor two bedroom available soon. This apartment has been fully renovated and is very affordable. We have a fully renovated first floor two bedroom apartment available soon. We have a very nice first floor apartment with a porch and yard available now. We have an excellent large one bedroom apartment on the first floor of a historic apartment home in Wallace Woods. We have a rare opportunity in Wallace Woods, a nicely renovated third floor two bedroom apartment. We have a large fully renovated apartment on the First floor available soon. We have a small cottage for rent in Covington. This cottage is fully renovated with hardwood floors, tile kitchen and Central HVAC. We have a very nice one or two bedroom available now. This first floor fully renovated unit has a very nice floor plan with living room, dining room, bedroom, kitchen and bath. There are laundry hookups and storage in the basement. We have a very nice one bedroom available now. This Second floor fully renovated unit has a very nice floor plan with living room, dining room, bedroom, kitchen, storage attic and bath. There are laundry hookups and storage in the basement. We are offering a very nice three room with bath apartment on the second floor. We have a very nice apartment available in Wallace Woods. This apartment is a deluxe one bedroom on the first floor. It has Three rooms and is fully renovated. We have a large home available soon in Wallace Woods. We have a fully renovated two or three bedroom apartment in Wallace Woods available July 1st. This first floor one bedroom apartment enters from a private back porch overlooking the shady back yard. You will enter the kitchen which has original 1960's metal cabinets and linoleum floors. There are two large rooms past the kitchen, either of which can be used as a bedrom and the other as a Living Room. They have hardwood floors and original woodwork. The bathroom is just off the middle room and has been updated with tile. We have a lovely 3 bedroom 1 bath apartment on the second floor in Wallace Woods available soon. We have a very cute efficiency apartment available on the third floor in Wallace Woods. We have a first floor fully renovated apartment in Wallace Woods available Soon. We have a huge (1500sf!) first floor two bedroom apartment with a porch, breakfast room, walk in closet, and paid heat in Wallace Woods available in October. This is such a nice apartment that it will rent very quickly, call soon for your appointment! We have a very nicely renovated two bedroom cottage available. This is a cute and affordable home with off street parking, fenced yard, and central air. We have a very nice home in Mainstrasse available soon. We have a nicely renovated second floor two bedroom apartment in Wallace Woods available soon. We have a very economical apartment available. This third floor one bedroom apartment is located in Wallace woods and has been renovated. It has a large bedroom, large living room, kitchen and bath. The floors are hardwood and the bathroom is tile. We have a nicely renovated and very large apartment on the second floor with a private porch for $550 per month. This apartment is very affordable and available on Section 8 housing voucher. We have a renovated first floor three bedroom apartment available in December. We have a very nice duplex townhome available Soon. This apartment is on Western Avenue in Covington just down the hill from the entrance to Devou Park.